All-day moisturization and environmental defense. 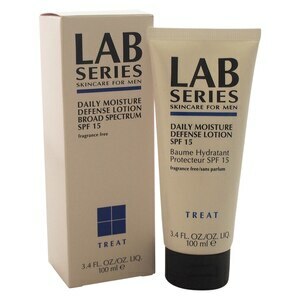 Lightweight moisture lotion continuously hydrates, smoothes and reconditions skin. Ingredients: Alcohol Denat, Dimethyl Ether, Butane, Propane, Acrylates/Octylacrylamide Copolymer, Aminomethyl Propanol, Pentapeptide-29 Cysteinamide, Pentapeptide-30 Cysteinamide, Tetrapeptide-28 Argininamide, Tetrapeptide-29 Argininamide, Hydrolyzed Keratin, Cocodimonium Hydroxypropyl Hydrolyzed Keratin, Amp-Isostearoyl Hydrolyzed Wheat Protein, Aleurites Moluccana Seed Oil, Panthenol, Phenyl Trimethicone, Triethyl Citrate, PPG-5-Ceteth-20, Pentaerythrityl Tetracaprylate/Tetracaprate, Benzophenone-4, Fragrance/Parfum. Apply gently with cotton pad all over the skin before moisturizing but after cleansing, wait for the lotion to soak in and do not rinse off.